Pre-packaged with DOSBox SVN Daum. The GOG.com version is already patched. Download a patch from BlueByte FTP (see Patches). 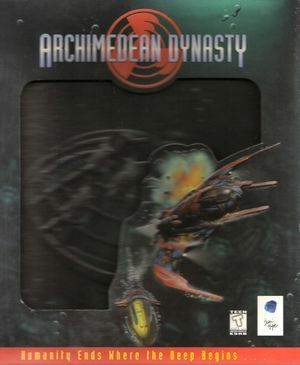 Place adupdate.exe in a folder, where you've installed Archimedean Dynasty. To make operation easier - use DOSBox front-end, like DBGL. This game runs only in 640x480. Press H for a list of keys. Mouse is only used for navigating menus. See Ship turns in one direction when joystick is enabled. Extract Mouse2KV into the installation folder. When using a Front-end like DBGL, set MOUSE2KV.EXE as a launch file and add 640 480 8 8 AD.EXE to launch parameters. This page was last edited on 26 April 2019, at 12:21.